Google’s Distinguished Engineer Matt Cutts has announced that a new ranking update, one that targets spammy queries is now live. 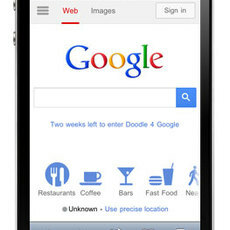 Separately, Google is warning that if you have a bad mobile website, your search rankings will soon be hurting. The ranking update for spammy queries, which will impact 0.3 percent to 0.5 percent of queries in English, shouldn’t come as a surprise to most. This was one of the changes we were told by Cutts to expect from Google this summer. . Cutts specifically mentioned that the change would affect queries such as “payday loans” on Google.co.uk and pornographic queries. Google called out two specific areas in their blog post – faulty redirects (“when a desktop page redirects smartphone users to an irrelevant page on the smartphone-optimized website”) and smartphone only errors (when “sites serve content to desktop users accessing a URL but show an error page to smartphone users”). In addition, just as site speed has played a part in Google’s web search ranking algorithm since 2010, you can expect site speed to have an impact on the rankings of mobile sites, Cutts announced at the SMX Advanced conference.